This study aims to contribute to the newly developing social media policy literature through examining the process of designing social media policy particularly for local governments, and analyzing opportunities and challenges that local governments face in implementing them. We underline the importance of creating a cultural shift in local governments through the help of a transformational leadership as a necessity for an effective social media policy in local governments. 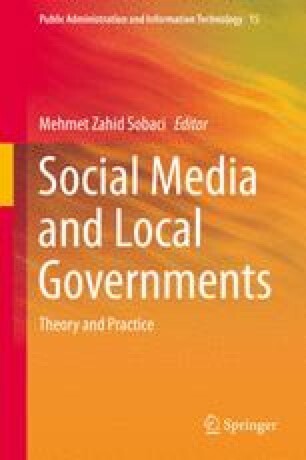 As a conclusion, we argue that the main principles of “social media governance” can be adopted into local governments. In such a model, local governments should design their own social media policy and guidelines with regard to the broader central government policy, incorporation with local government’s other policies, and considering audiences’ needs and expectations.